It’s rare for me to like a “hybrid” version of an already established non-hybrid vehicle. 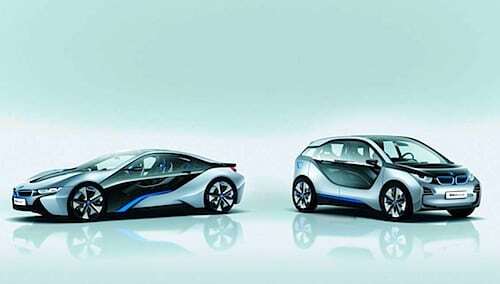 Generally speaking, car manufacturers make hybrid versions too expensive, less powerful and goofier looking. My tester this week breaks that mold. 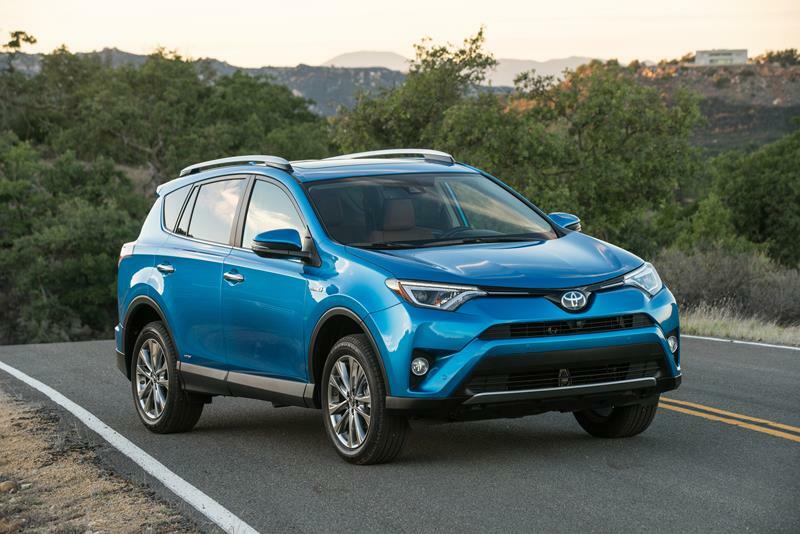 The 2017 Toyota RAV4 Hybrid is more powerful than the gasoline version, has the same conservative, yet attractive looks and is only marginally more expensive. In short, it’s a hybrid I can get on board with. 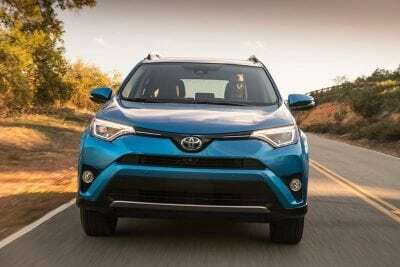 After first being introduced last year as a modification of the standard RAV4, the 2017 version returns having had brisk sales. For 2017, very few things are changed from the previous model year. On looks, thankfully, Toyota didn’t give the RAV4 Hybrid the “Prius treatment”. 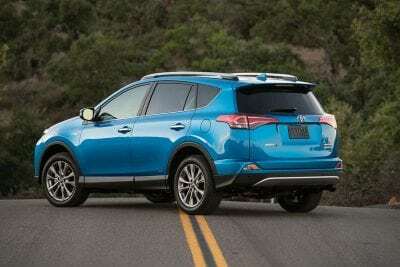 It doesn’t look all “hybridy” rather it looks very similar to the standard RAV4, and that’s a good thing. Sure, it’s a conservative-looking crossover. A more scaled-down grille and special blue emblem on the front and back indicates its hybrid heritage. But otherwise, if you like the looks of the RAV4, you’ll find this version to be equally attractive. The back end of the RAV4 Hybrid has a spoiler and shows some amount of sportiness. Not bad, for a hybrid. As far as the engine goes, it has all the things, I’d generally not like, hybrid electric motor assists and a continuously variable transmission. But, on this vehicle, it works. Perhaps you’re thinking, Dinsmore’s lost his mind or is being paid to shill for Toyota. No, trust me when I say that the 194-horsepower, 2.5-liter four-cylinder engine, with two electric-assist motors is actually good. It’s better than the standard engine. It’s peppier and more enjoyable. Even the CVT seems to work well with the hybrid technology. Other than some noise at the higher revs, this is a power plant that does what it’s supposed to. It won’t be a jack rabbit off the line (it’s not supposed to), but at both highway speeds and city speeds, it accelerates fine and performs well. My tester had all-wheel drive, which is standard. Kudos to Toyota for making AWD standard, despite their fuel-sipping plans for this model. One feature of hybrids that are usually praise-worthy are the brakes. However, on this vehicle, they were a bit soft. 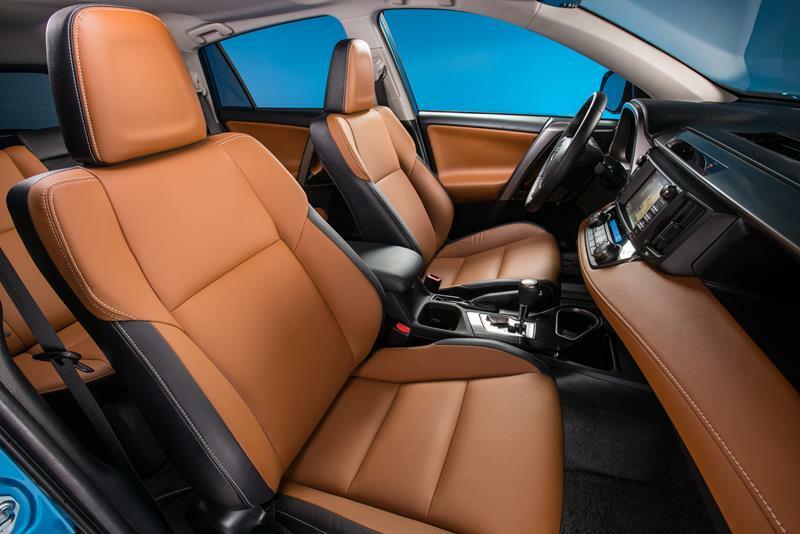 Inside, the RAV4 is not better nor worse than the regular RAV4. This means, that like the exterior, it takes a conservative approach to what it offers. The inside is comfortable and the touch points are adequate. There’s nothing special about the inside, but there’s really nothing lacking either. The back seat has ample legroom and headroom. All too often, hybrids lose interior space due to battery placement. Despite the rear battery location, the RAV4 still has a roomy interior and even the cargo space is surprisingly big. With second-row seats upright, the cargo area is 35.6 cubic feet. Fold those seats flat and it expands to 70.6. This is only about three cubic feet less than the non-hybrid. 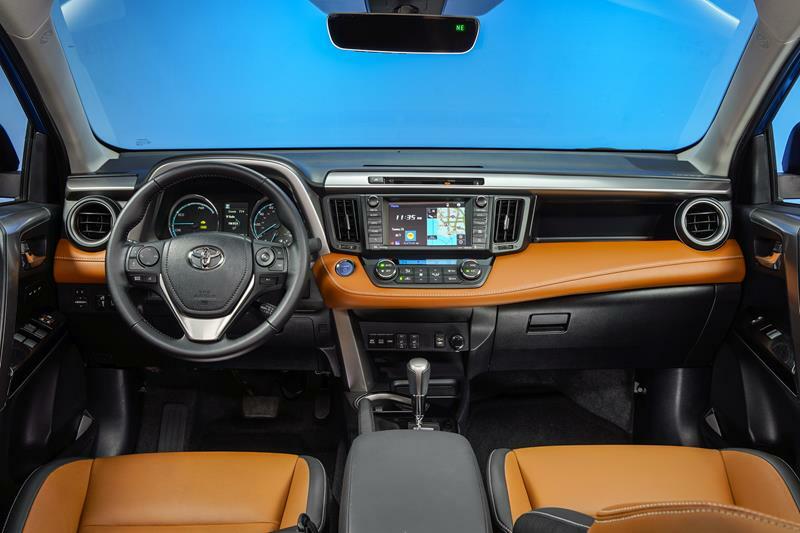 A 6.1-inch touchscreen is standard and employs Toyota’s Entune system. This is a simple infotainment system that is easy to use, but lacks any real cutting-edge technology. That’s not necessarily a bad thing. A 7-inch touchscreen is available as an upgrade. It is responsive to touch commands and interacts with smart devices and phones. My tester had an advanced sound system option which included an 11-speaker JBL system. The RAV4 Hybrid is available in three options: XLE, SE and Limited. My tester was the base model XLE. It’s chock full of nice options including 17-inch wheels, a moonroof and sensor-based safety features. It had a base price of $29,030. With other options like the upgraded sound system, larger touchscreen and a rear power lift gate (with hands-free activation), my tester had a final MSRP of $31,995. 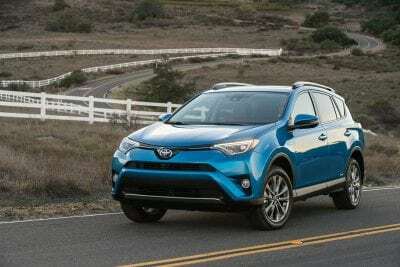 A comparably optioned non-hybrid RAV4 is about $3,000 less, so you have to determine if the fuel savings are worth it. Speaking of those fuel savings, the RAV4 Hybrid has an EPA rating of 34 mpg/city and 30 mpg/highway. In a week’s worth of mixed driving, I averaged around 32 mpg. That leads the segment in fuel economy and shows what role this crossover plays in this oh-so-competitive compact crossover segment. For budget-minded families, who drive a lot of miles, the RAV4 Hybrid could be ideal. Toyota has done a tremendous job of giving this crossover broad appeal without making it too much of a hybrid oddity either.